You know those moments when you bring your kiddo into the mall to visit Santa and they just light up? It takes everything just to keep them from rushing up and busting through those gold-tinted or candy-cane gates and plowing through the cotton snow just to get right up there. They sometimes dodge through the line, skipping over other kids and parents who are waiting for their turn to greet Old Saint Nick… and then your kiddo is spending more time chatting up the elves than Santa? Well, we’ve seen it a few times. It seems that, once in a while, a tyke is born with a pretty intensely elfish soul. They like to dress up in goofy colors. They might enjoy drawing on everything. Probably a bit inventive as well, building up all sorts of weird things out of randomly acquired materials throughout the house… even if they occasionally need to dismantle things to get to it. Of course, that doesn’t always go away. And, those souls are the lucky ones. Growing up in a world that wants to lock a person down into a humdrum job is just depressing. 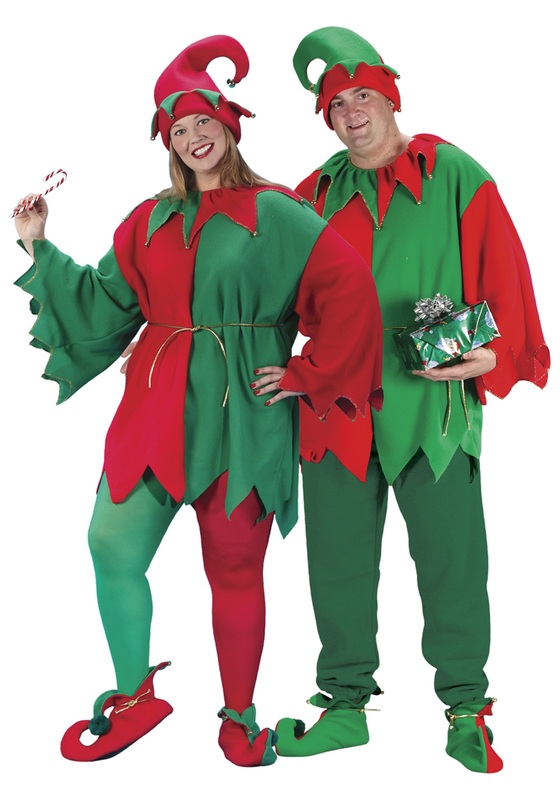 But, those grown up elf-souled folk manage to keep that holiday cheer all year round and become the next generation of inspiration for those kiddos. 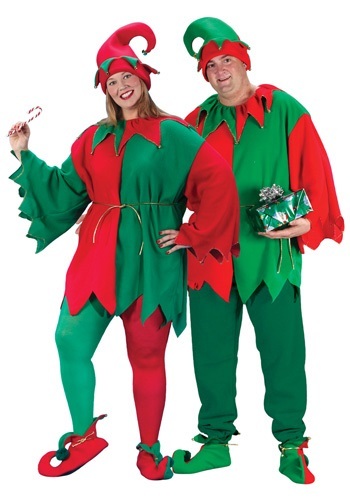 Be your own sort of merry this year by stepping into this Santa Elf costume. The red and green tunic has a jagged hemline and sleeves that make for a truly fun look no matter the season. But, if that wasn’t enough, you get to heighten the fun further with jingling bells and an accented gold belt and pom poms on the tips of your red or green shoes! You’ll barely need to accessorize, but a bonus cap or package of candy canes will only make the look all the more real (and then you’ll even have candy canes, so… bonus)! Turned up really early ?? usually I'm xl thought be safe order one size larger didn't need to generous sizing good fabric. Great company to receive orders promptly.